Why Use Our Mobile App? Easy to Use Once you click the image above, you will enter your mobile number, then download easily and get your searches started. Custom Searches Easy to add all of your preferred search filters like price, neighborhood, number of beds, open houses, and more. Useful Map Feature You can a pinpoint or draw a perimeter to see nearby homes for sale, open houses, or rental properties. Local Info Find out about schools and other nearby points of interest. Large Image Gallery Look through dynamic, full-screen photos of homes. 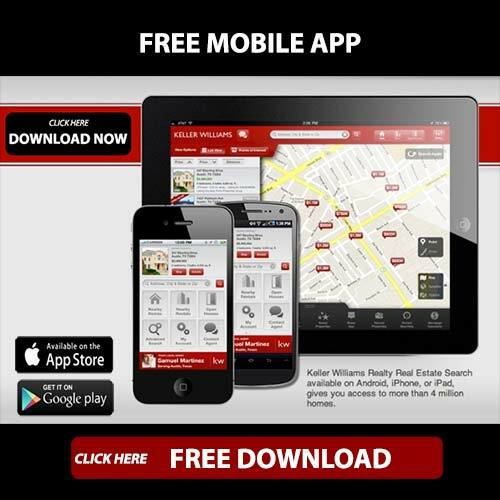 Always Available and Up to Date You can save your searches and listings across all your devices. Easily share You can share homes through text, email, Facebook, or Twitter. Mortgage Calculator Estimate home loan and monthly payments with built in mortgage calculator, quickly and easily.